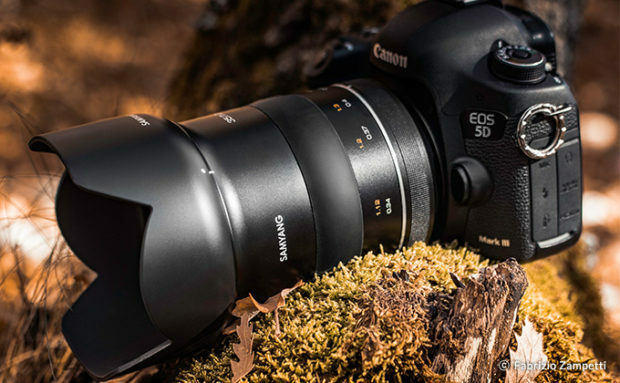 Samyang XP 35mm f/1.2 Lens for Canon EF Mount Announced ! As leaked before, Samyang now officially announced the XP 35mm f/1.2 Lens for Canon EF mount. Inside the metal body is a 9-blade aperture that creates lovely background blur/bokeh and 12 elements in 10 groups. Samyang says CA is controlled well and ultra multi-coating technology keeps flare and ghosting to a minimum. Currently, there is no price info and release date for this lens in US, you can check price & pre-order option at B&H Photo Video. Tamron 17-35mm f/2.8 Di OSD Lens Announced, Price $599 ! Previous Previous post: Up to $700 Off ! Canon Cyber Monday Deals Now Live !